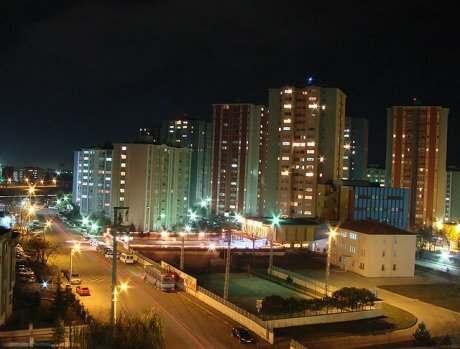 The Western Turkish city of Çorlu - location of Europe's newest Foxconn factory. Flickr/KeremD. Some rights reserved. “Some weeks I work 62 hours, other weeks I only work 30. You can go from a minimum of three days a week up to six, so it’s impossible to organise your life outside work.” Verda is one of the 350 or so employees at the Turkish factory opened by Foxconn three years ago to manufacture desktop computers exclusively for Hewlett & Packard (HP). Foxconn’s factories around the world assemble products for major electronics brands like Apple, HP, Sony, Chimei and Innolux, but the Taiwanese multinational is not exactly a household name. Foxconn did come under global media spotlight a few years ago, though. Close to twenty workers at its Chinese factories killed themselves by jumping off their dormitory roofs because of the exhausting work schedule and tough manufacturing regime. This article is the result of a research project which began in the Czech Republic and aims to compare Foxconn’s working and managerial practices in Europe and in China. Foxconn’s factory in western Turkey is located within the European Free Zone close to the city of Çorlu and just a few kilometres from Pan-European Corridor 4, the main road artery linking Istanbul with Bulgaria, Greece and central Europe. This special zone, opened in 1999, houses 150 companies with a total labour force of around 3,500 within a large, enclosed and closely monitored area. There are close to 20 of these zones in Turkey, collectively housing 4,000 companies with a total labour force of around 51,000. Investors can benefit from various tax breaks here, including complete exemption from VAT and from taxes on profits and wages, provided that at least 85% of the goods produced are exported. Esen, a former manager who was sacked a few months ago, explains, “If they don’t pay tax on wages, their labour costs are pretty much the same as in China.” In fact Foxconn saves around 300,000 euros per year on wages alone. The choice to manufacture goods at the gateway to Europe is not only linked to labour costs. As Jim Chang, the company’s vice president and head of operations in Europe, said a few years ago: “Time and distance are crucial for business competitiveness.” The expansion of Foxconn’s global manufacturing network is governed by various factors. These include availability of a large low-cost and non-unionised labour force, proximity to the company’s customer base, good infrastructure and government support mechanisms. The Turkish factory is a foothold within the company’s strategy of moving closer to its end markets, along with Foxconn’s four other manufacturing sites in “Europe”: two in the Czech Republic, one in Slovakia and one in Russia. The Pardubice factory in the Czech Republic is the central base for Europe and sets the pace for production in the other European plants. Each manufacturing site usually serves different markets. The factories within the EU supply European customers and the Turkish one supplies Middle Eastern and North African customers as well as local ones. The rapid industrial development in the area around Çorlu means that Foxconn can draw on a labour force that has already been trained to do industrial work. Workers are attracted by the electronics factories, seeing them as technologically advanced and with a better working environment than the textile and mechanical sectors. Foxconn’s predicted expansion to 2,000 employees has been put aside for the time being, though, and production will carry on in a rented warehouse. Unlike the Czech Republic, where the workforce is split between local core workers (60%) and migrant agency workers (40%), the labour force in Turkey is relatively homogenous and made up of Turkish women and men aged between 25 and 45 who are hired directly on open-ended contracts. The only exception is the high percentage of Bulgarian Turks, most of whom came to Turkey in 1989 to escape ethnic cleansing during the final few months of the communist regime. They aren’t that different from the local workforce, although some of those with dual nationality are considering going back to the EU. “Up until five years ago I thought I’d never go back to Bulgaria. But the economic situation has changed and even though working conditions aren’t much better than here, you can have a comfortable life,” Metin tells us. As we see, logistics and mobility aren’t only an issue for multinational companies, but for individuals too. "I don't feel like I'm part of a big family. Foxconn only cares about profit." Hewlett & Packard played a significant role during the initial recruitment process, as Halim explains. “I had high expectations because it seemed like HP had opened the factory, so I thought it would be very technologically advanced.” Foxconn has also taken advantage of two government-run programmes to recruit workers. The first provides internships for high school students and the second, funded by the government through local employment centres (IŞKUR), involves apprenticeships geared towards unemployed people. Both groups have a fairly similar experience: the training period is shortened to a few hours and then trainees are placed on production lines alongside regular workers. The company only takes on a handful of students each year but the group of apprentices selected directly at the Işkur offices by Foxconn staff is much larger. The 264-hour apprenticeship lasts for about nine weeks. In June 2012 alone the company took on 50 apprentices who were paid between 7.5 and 9.3 euros per day by the government for eight hours’ work. These selection processes mean that the company can recruit in a more cautious way and reduce labour costs, as one of these apprentices explains. “I had an interview with the managers and they said they’d hire me but I had to do an apprenticeship course first. So I did these two months where I was paid 20 Turkish lire (7.5 euros) a day for ten hours’ work. Once the course was over, they hired me.” At the end of this period apprentices and interns are supposed to be hired, but quite a few of them leave before then. Until now the apprentices system has been a success, so much that Foxconn received an official award from government unemployment agency IŞKUR. Working practices in the factory are pretty similar to those in Foxconn’s other plants. The work is “easy but very stressful”, Nissan tells us. She explains that she didn’t mind it at first, but now she feels exhausted and unmotivated. “The managers only care about reaching targets. They treat us like robots and forget that we’re human beings.” Production targets are demanding and are constantly being monitored. The two production lines build about 5,000 computers in 24 hours at a rate of 110-115 computers per hour. Management resorts to the usual methods to ensure that targets are reached. These include competition between the two assembly lines and among workers in general, bonuses equal to 10% of their salary for workers who reach their targets and the use of young and inexperienced staff. Even people like Demir, who clearly side with management, don’t really subscribe to Foxconn’s company philosophy. “I don’t feel like I’m part of a big family. Foxconn only cares about profit.” Gender plays a large part in the company’s hierarchy and the majority of managerial positions are held by men. But the changes currently taking place in Turkish society appear to be challenging reactionary and patriarchal styles of management. Workers, whether male or female, alternate on a weekly basis between day and night shifts in a roster system like the ones in the company’s other factories in Europe and China. People work between 10 and 12 hours a day for five or six days a week, but sometimes less if they’re not needed. On top of the long day in the factory there is also 20-60 minutes of travelling time in the dozen or so buses provided by the company. Working hours are much more variable than in other local companies and can range from 30 to 60 hours per week. Current Turkish legislation allows Foxconn to average out an individual’s working hours to 45 hours a week over a two-month period. This flexible working pattern permits to employees’ to earn the minimum working wage (45 hours per week), regardless of the amount of the hours they work. But on the other side overtime rates are rarely paid because the company manages working-time in a way that workers don’t exceed the medium of 45 hours a week in two months. Production demands also require immense flexibility within the factory, so workers are moved between tasks and departments according to immediate needs. Being assigned different tasks prevents them from reaching production targets and earning monthly bonuses. Wages for assembly line workers are set just above the minimum wage level fixed by the government, 300-350 euros, which is periodically revised. The wages of the group leaders, the assembly line bosses, aren’t much higher than the workers’ salaries, around 380-420 euros per month, and the earnings of the white-collar employees rise gradually as they move up the pecking order. The key issue for Foxconn workers, and for workers in other European Free Zone factories, is the question of trade unions. The only real kind of negotiating that exists in Turkey takes place within unionised factories. However, the leader of the biggest Turkish union, Turkish Metal, maintains that they don’t have a particularly active recruitment process. “We’d rather wait for workers to approach the union. We don’t put pressure on workers to enrol.” This may be the reason why the number of union members in Turkey is still low, only 1.26 million out of around 22-23 million employees in 2009. Act No. 6356 on collective bargaining, passed at the end of 2012, has only partly improved the situation. In the past workers had to make an appointment with a notary in order to get a certificate to join a trade union, but now they can register their membership online. However, they have to do this on a government-run website and are therefore exposed to direct scrutiny by the state. The government can also defer any kind of strike action for reasons of national security or public health. And so while some obstacles have been removed, collective bargaining is still a lengthy and unwieldy process since it can only take place where at least half plus one, or in some cases 40%, of a company’s employees are union members. It is therefore not hard to understand why Turkish workers make a clear distinction between unionised and non-unionised companies. Foxconn certainly doesn’t underestimate the influence of unions. Indeed, the experience of the Korean Daiyang factory in the Free Zone, where workers’ attempts to unionise led to a fierce battle, is still fresh in people’s minds. Foxconn had hired some unionised workers during its first few months in Turkey, but management soon remedied this oversight and made these workers give up their union membership. “The managers brought their notary to the factory and made them sign papers renouncing their membership. Everybody signed because they’d have been sacked otherwise,” says Talat. Losing one’s job isn’t a major blow for workers, though, because of the wide availability of manufacturing work in the area. As a result there is a high turnover of employees, 20-30% in a year, particularly among manual workers. The rapid development of the Turkish economy in the last decade, sponsored to a large degree by foreign investors, hasn’t yet brought any major benefits to the workers’ situation. Increased production needs have also accelerated migratory phenomena, both within Turkey and from abroad. Çorlu, the biggest city in the area around the Foxconn factory, has seen its population increase threefold between 1990 and 2012, from 75,000 to 234,000. After the suicides and workers’ protests in China, Foxconn was forced to open up, at least officially, and accept a union presence in early 2013. At the gateway to Europe, though, it seems determined to keep access to its factory reserved for business.